Didn’t think we were going to show up did you? Ok, yes we are extremely late today, but in order to do a blog every day about the best football play drawings on the planet you must spend a little (a lot) of time working on the actual drawings! 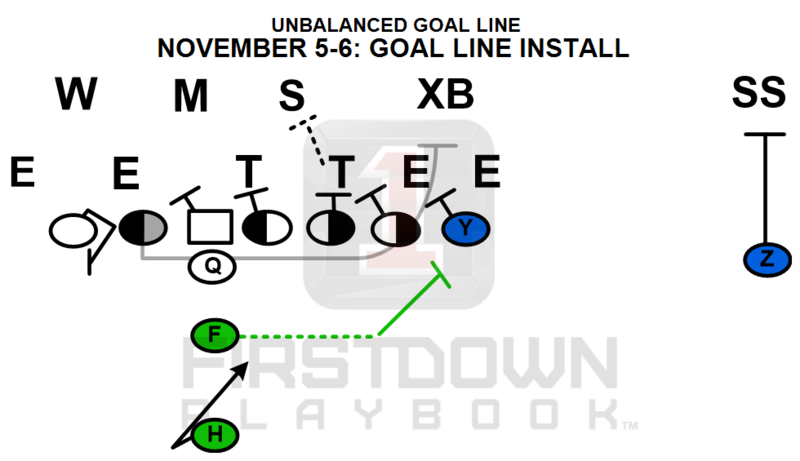 Add in the work that we are putting in to make sure that you never have to ever draw a football play from scratch again and yes that can keep even the FirstDown PlayBook football staff running a little behind. Enough whimpering. On to this week’s installation. This week we are having one of the best offensive line coaches who ever coached a power double team on the USA Football podcast. Jim Hueber is a no nonsense guy who you will learn more about by listening to this. 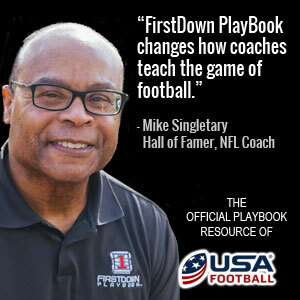 After you listen get back to FirstDown PlayBook because we are going to draw up a to of what we talk about on Monday (that’s today and tomorrow). 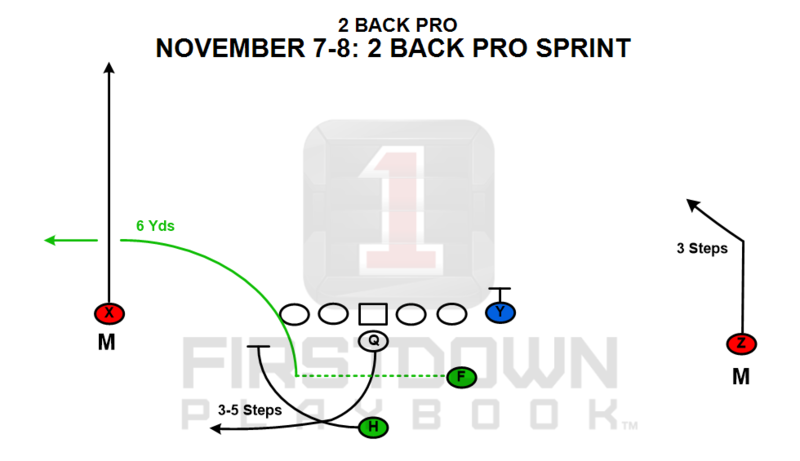 As the week progresses we will keep plugging away at the sprint out pass game. We know you may be asking why are they being so detailed about this out of so many formations but you will understand on January 6, 2019. Finally, okay it’s official. Most coaches are fans too. The NCAA and NFL highlights have been pretty popular. We are going to meet you have way in between. 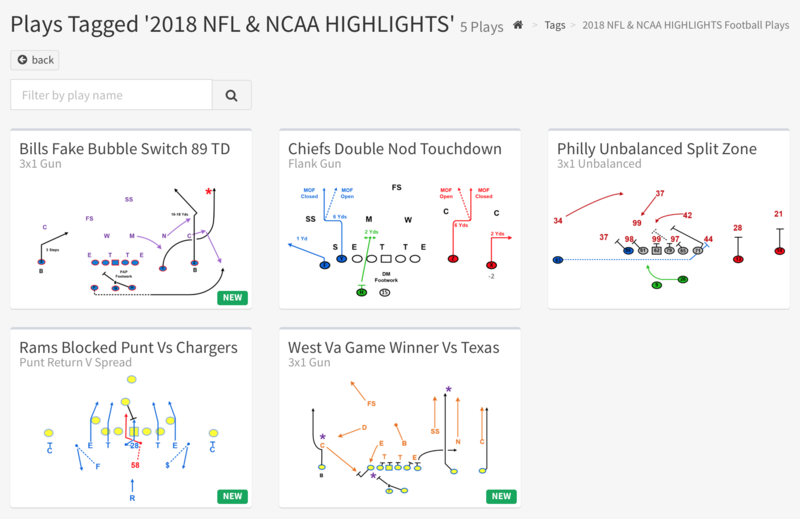 We will find plays from the weekend that get your (and the rest of the country’s) juices flowing but the difference is you will be able to tuck these plays away in your playbook for a time to be disclosed exactly when your opponent doesn’t expect them.